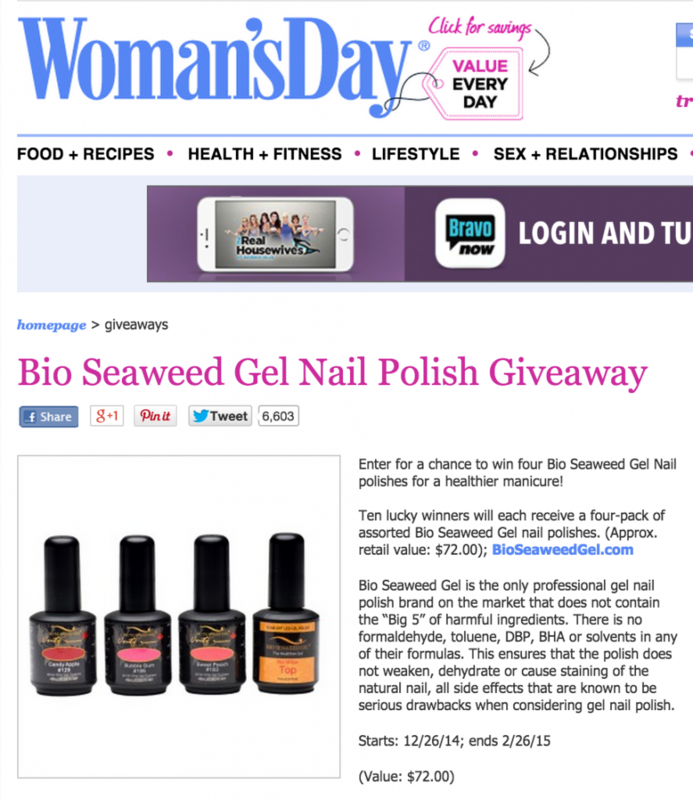 Congratulations to our ClientÂ Bio Seaweed Gel for their feature on Woman’s Day! Bio Seaweed Gel is the only professional gel nail polish brand on the market that does not contain the â€œBig 5â€ of harmful ingredients. There is no formaldehyde, toluene, DBP, BHA or solvents in any of their formulas. This ensures that the polish does not weaken, dehydrate or cause staining of the natural nail, all side effects that are known to be serious drawbacks when considering gel nail polish. Their UNITY All-In-One Colour Gel Polish combines base, colour, top & strengtheners all-in-one bottle. It can also be cured under the natural sunlight as well as in the UV or LED lamp! Check them out atÂ bioseaweedgel.com!